Hey everyone! Welcome to WATS! Welcome! And everyone else new to the forum! I'd like to extend my welcome to anyone I've not yet spoken (well, typed) to yet. Make yourselves at home and have fun. What's up!!! I'm Bobby. I'm a huge fan of the Kamen Rider franchise. Not just Dragon Knight, but the series airing in Japan. 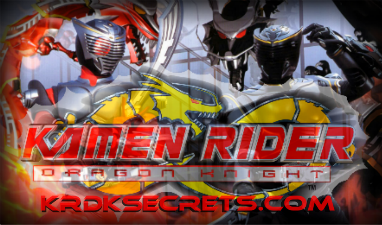 I came up with two Riders for Dragon Knight and my very own Kamen Rider of an original series I am currently working on. Welcome everyone! Ocean Knight just gotta say loving that avatar, is that V1 or V2? Hi, Ocean Knight. Welcome to the forums - make yourself at home. I'm echoing Phycogold: your avatar is amazing. It's Kamen Rider Ichigo/1 from "Kamen Rider The First/Next". I'm a huge Kamen Rider Fan. I even have a Kamen Rider forum. Welcome to anyone who hasn't been greeted already! Hope you enjoy the website! My name is Kamen Rider Hurricane or Madison F-H.I'm 13 yrs. old and I'm from Ontario,Canada.I got hooked on KRDK by one of my frieds's older sibling. I like writing short stories for many different fandoms. I hope I can make lots of friends.I love catt's ,phycogold's,chica and DK09's videos. Welcome to Way Above Top Secret, Kamen Rider Hurricane! Thanks for liking my KRDK MV's, Kamen Rider Hurricane, do you have a YouTube Channel? ya but I havent uploaded any KRDK vids yet cause i have to re upload the eps. from ym old computer to my new one.But one will be up soon i promise! Well hello all. A buddy of mine, Bobby, told me about this place so I thought I'd drop by and see what this place is truly. For those wondering, Magnus is the name I'm using as it's the Rider name of one of the few Kamen Rider fan-fictions I'm currently in the process of writing. I do draw a lot and I also spend some time doing some slight video editing as well. I'm pretty good with Photoshop and Adobe Premiere. Anything that anyone wants to know feel free to ask. Hey, Mike!!!! Glad you joined!!! This is the guy who drew the Ocean Knight pictures for me.